Can I live off from dividends? If yes, How? Well, before answering this question let’s do one small exercise. Take a two-minute break and ask one simple question to yourself. What do you do for the living? I am 100% sure your answer would be either Job, Business or self-employment. However, another answer of this could be the investment. Yes, you can live your life from dividends yielded by investments. Equity Dividend can help you to reach financial freedom. You can reach to a state where you need to work again. If it is sounding stupid let me give you examples. A famous equity investor of India Mr.Rakesh Jhunjhunwala is making enough income from the stock dividend. He can easily live off from dividend income. 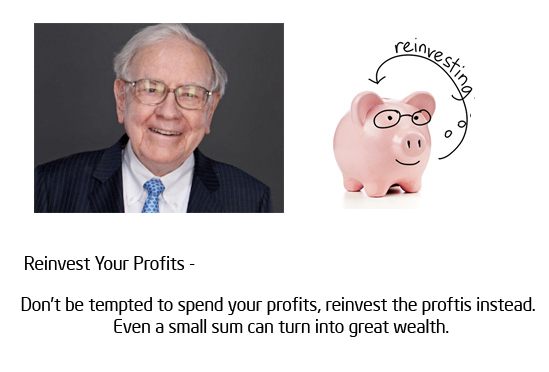 Another example is Investment Guru Warren Buffett. Warren Buffett is also earning decent dividend income. Also Read – Dividend Mutual Funds Equity Scheme – Should You Invest? So, what it takes to live off from dividends? How to become Mr.Free? How to live off from dividends and never work again? It may sound music to your ears but it is possible. How to live off from Dividends? Let’s say you are stock market investor. You do careful research before investing in any stock. What is your strategy when you invest in stock? Well, more than 90% people adopt growth as a strategy when they invest in stock market. They seek information about multibagger stock for investment. The primary objective behind investment is to generate a massive return from stock. Nothing wrong with your strategy. However, another stock market strategy is to accumulate a collection of high-quality dividend growth stocks. Reinvest dividend earned from this stocks in buying similar stocks. Continue the process until you reach the state where your dividend income exceeds your daily expenses. Take an example of TCS. TCS is in IT field since decades. TCS is multibagger stocks. The stock of TCS has given magnificent return since inception. Apart from an increase in stock price, historically TCS is consistent dividend payer. Even in the time of recession in 2008 TCS has increased dividend payout. The issue price of TCS Share under IPO was Rs.850. An investment of Rs. 850 in TCS IPO in 2004, would have earned a total dividend income of Rs. 733.5 by now. TCS is only one example of dividend paying stock. Many companies are paying very good dividends and even they are increasing dividend payout year on year. Hope you have now understood the power of Stock Dividend. You may be wondering why average investor does not prefer dividend paying stock or never reinvest dividend in stock again. The answer is simple either they are in need of money or they have fear of losing money. Believe me or not, it is possible to retire and live off dividends for the rest of your life without touching principle. Probably Warren Buffet is following similar strategy – i.e never selling a stock. If you are planning to live off your life on dividends, follow the steps given below. Open a demat account for investment. Do proper analysis and find out high dividend paying stocks. Buy stocks when their valuation are reasonable. Reinvest dividend earned from stock in again buying high dividend paying stocks. Repeat the process until dividend amount is enough to run your household expenses. Enjoy the financially free life on passive income. Do you think one can live off his/her life on dividends? Have you started living off from dividend income? Do share your ideas in the comment section. Dividend Stocks in India – How to find highest dividend paying Stocks? Dividend Mutual Funds Equity Scheme – Should You Invest? Really an eye opener. However the above context doesn’t sound practical in indian market. Even though companies pay dividend, but its not necessary that dividend rate increases with inflation. It all depends on company’s profitability and other factors. In short one should target for companies having good track record of paying dividend consistently To generate substantial income from dividends, the dividend yield should be minimum 2.5 % and the yield should increase in line with inflation, so as to server the purpose of generating passive income. So if dividend yield doesn’t grow at pace of inflation, then the income arising out of it won’t be enough to manage our expenses. Hope my context is clear.